So there I was, a first-year medical student chewing on a lot of free pizza to hear what this club or that club might offer me in terms of a leadership opportunity. Well, after eating an ample share of free pizza, I started to get a feel for what interested me and got involved. I went on to become finance chair for the Asian Pacific American Medical Student Association National Conference and later, chair of the American Medical Student Association global health action committee. You could say my path toward leadership began because of my love of free pizza. I got a taste of what leadership could offer me in my career: the opportunity to think big, get stuff done and have fun doing it. As a resident, I stayed involved through my residency program. I organized a voter registration program in our office (because neighborhoods matter). I was a member of the resident and fellow section delegation to the California Medical Association. And, I was voted by my peers to become co-chief resident and I got to sit at the table with our faculty to work on the current and future state of our residency program. Along the way, I chewed on a lot less free pizza, learned to listen better and became more strategic in my way of thinking about solving the world’s problems. I became more effective in my leadership with more experience sitting at the table. Learn to listen to your peers. Learn to hear what they are saying and how they are saying it. Then, begin to take action. Work on a project or two. Find a mentor. Be coached. Craft your vision. Expand your comfort zone. A week before graduating from residency, I asked Dr. Jeff Luther, my associate program director at the time and current BFF at work: “How do I get involved with the California Academy of Family Physicians (CAFP)?” He picked up the phone and called Susan Hogeland, CAFP’s executive vice president. “Susan, I’ve got a live one for you!” I soon was enveloped in the warm embrace of CAFP and became a member of the legislative affairs committee, which aligned perfectly with my interests. The rest, as they say, is history; today, I have the honor and privilege of serving as CAFP president. My point in relaying my leadership story to our medical students and residents is to highlight that to become a future leader, it is essential to find opportunities that align with your values. Once you’ve found your (family medicine) tribe, have the humility to show up consistently. Learn to listen to your peers. Learn to hear what they are saying and how they are saying it. Then, begin to take action. Work on a project or two. Find a mentor. Be coached. Craft your vision. Expand your comfort zone. Practice communicating often and well. Speak in public. Practice executive presence. Speak in private. Give feedback. Receive feedback. Think strategically. Don’t get hung up on the perfect because it is the enemy of the good. Build some momentum. Think big. Get stuff done. Know how to have fun. This is what the Family Medicine Revolution looks, feels, smells and tastes like. Time to get to work, you emerging physician leaders! Remember that whenever you tweet, post an article or status update that is family medicine-oriented, proudly add #FMRevolution. Let's bring medicine back to our patients and their communities to #MakeHealthPrimary. Vive la résistance! What stories do you have to share about family medicine leadership? How do we all rise up together to become the leaders our patients and our health system needs us to be? Are you the generation we are waiting for? Why or why not? Let us know what you are thinking and feeling! 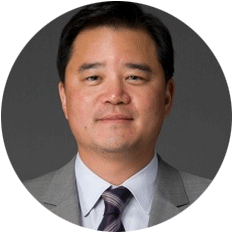 Jay W. Lee, MD, MPH, FAAFP, a family physician who practices in Long Beach, is serving a one-year term as president of the more than 9,000-member California Academy of Family Physicians (CAFP), where he is the first Korean-American physician to hold this leadership role. As CAFP president, Dr. Lee champions the importance of primary and preventive care in making Californians healthier and works to shape the future of the state’s health care system.